Mmm, cookies! Cookies serve as a delightfully sweet treat and are easy to whip up at home and enjoy. In this article, we will share some delicious cookie recipes using matcha tea. Love the taste of tea? Then you will adore these cookies! Looking for various other recipes, check this website out. 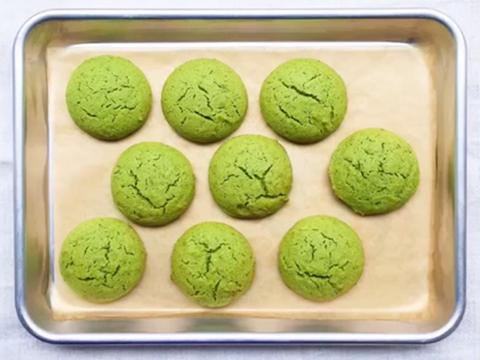 This is a simple and no-frills matcha tea cookie recipe that makes approximately 7 dozen cookies. These cookies are crispy, buttery, and utterly delicious. 1. Begin by mixing your flour, matcha, salt, and ground green tea leaves in a bowl. In a mixer bowl, cream together your butter and your sugar until fluffy and pale. This should take you roughly 3 minutes if you are mixing on medium speed. Then, on low speed, slowly begin to mix in your flour mixture. 2. Divide your dough in half. Place each half on a piece of parchment paper. Shape each half into a log that is 1 1/4 inches in diameter. Roll each log inside the parchment paper, and as you turn, press to release any trapped air. Once this has been done, allow your two logs to freeze for 1 hour. 3. After 1 hour in the freezer, preheat your oven to 350 degrees. While it is heating, unwrap your logs and begin making slices that are 1/4 inches thick. On parchment-lined baking sheets, place your cookie pieces 1 inch apart from each other. When your oven is ready, bake your cookies for 14 minutes, or until they are a golden color. Allow them to cool, and then enjoy! This is a delicious matcha tea cookie recipe that adds the element of white chocolate for an extra tasty finished cookie. This recipe makes approximately 2 dozen cookies. 1. Line your baking sheets with parchment paper, and preheat your oven to 325 degrees. While it is heating, mix your flour, matcha powder, salt, and baking soda in a bowl. Using your mixer, and in a larger bowl, beat together your brown sugar, white sugar, and butter until it is all well blended. Then, add your vanilla, egg, and egg yolk. Beat until creamy. 2. Mix in your flour mixture until the dough is just blended. Then, add in your white chocolate and gently fold it into the dough using a wooden spoon. Separate your cookie pieces, using approximately 1 tablespoon-worth of dough per cookie. Place the pieces on your baking sheet(s), giving the pieces 2 inches of space from each other. 3. Bake the cookies for 9 minutes, or until they are a golden color. Allow them to cool on the baking sheets for a few minutes, and then transfer them to a rack so that they can cool down completely. Then, all that is left is to enjoy!These are two very delicious matcha green tea cookie recipes. We use matcha powder from PiqueTea as one of the well known brand in tea industry. Look for a kind that specifies it is okay to use for cooking. You may read “culinary grade” on the packaging. This type can be used for these cookies. Enjoy! If you are an athlete, bodybuilder or crossfitter, I am sure, you aware of your caloric balance (calories in equals’ calories out). I can also assume how bothering it is to prep food everyday based on your calorie intake and keep track of your diet. For instance a 4 ounce chicken breast would provide about 187 calories and an 8 ounce baked sweet potato would provide around 200 calories. Measuring each of your ingredients before preparing your meal is annoying and eating same menu every day is more annoying. That is the reason why, I have come up with 6 succulent low calorie barbecue chicken recipe just for you. Whether you’re using a barbecue grill out on your patio, or an indoor grill these will taste delicious and super simple to prepare. Without any delay let me introduce these easy grilling recipes to make your taste-bud tingle. Start by preparing a simple marinade for your chicken. It’s just a matter of combining some extra virgin olive oil with some freshly chopped dill, parsley add some garlic. Next you need to zest a lemon and get some good amount of juice by a squeezer. Finally hit the marinade with salt and pepper. Once you’ve got that marinade all mixed up and it is time to pour it over your chicken. Cut your boneless, skinless chicken breasts about 1 inch cubes not necessarily have to be perfect. Pour all of that marinade over your chicken breast and give everything a good toss, so it’s evenly coated. Cover it with plastic wrap or pop the lid of your container in which you have marinade your chicken. Keep the marinade chicken into the refrigerator for at least an hour but overnight is actually ideal. The longer the marination the more delicious your chicken skewers are going to be. After the marination is done you can go ahead and start making skewers. Using metal skewers is a good Idea I love using metal because the metal itself heats up and helps cook the inside of the chicken while the outside. Skew all your chicken and get those on the grill. As I said you can use an indoor grill but if can do it on a gas smoker or a charcoal smoker that’s even better. Fired up over medium heat, make sure that you are flipping your skewers every few minutes so that they’re cooked evenly on all sides. While those are cooking away you can prepare a simple lemon caper dip. I think it is a perfect accompaniment for chicken skewers. Starts with a base of plain yogurt in your bowl and add some tasty capers which have really a salty bite with delicious flavor. Then add some fresh dill and grate in a little bit of fresh garlic and then add the zest and juice of one lemon. Hit this with some salt and pepper give it a whirl and it is ready to be enjoyed. By this time your skewers should look gorgeous and golden and be fully cooked through. That means it is time to get them off the grill and right into your belly where they belong. If you want go ahead and give these little skewers a lemon splash right before serving. I love it best served over a beautiful bed of lettuce with some grilled peaches on the side. For this you are going to start by mixing up your marinade with some peach preserves which you can always find in the jam aisle at your supermarket. Add a little bit of balsamic vinegar with a splash of oil to help prevent everything from sticking. If you like heat then add some red pepper flakes and finish it off with a little bit of salt and pepper. Once that’s all mixed together, just use a measuring cup to reserve a bit of the mixture to use this to rub your chicken while grilling, the rest of the mixture will go boneless, skinless chicken breast for marination. As always when it comes to marinades the longer it sits the tastier it is going to be. So, you’ll want to marinate this in the refrigerator for at least an hour but hey if you’ve got two three four hours that is even better. When it’s time to get them to the grill you’ll want to make sure you’re cooking these low and slow. The idea is that you want to make sure that your glaze doesn’t burn before your chicken is completely cooked. If you’re working on a charcoal smoker outdoor, you can always cook with indirect heat. Where you can burn your charcoal on one side and then cook these on the other side with just heat from the burning charcoal. In this way your chicken is going to cook through before any of the sugars in that glaze have a chance to burn. You need to keep the chicken grilling & flipping them once until they’ve reached an internal temperature of 165 degrees Fahrenheit. Just before you pull them off the grill brush them with a little more of your reserved marinate mixture and then it will be ready to be enjoyed. Serve over a beautiful bed of greens and with some grilled peaches on the side. With the rest of your marinade pour it over the chicken drumsticks and flip it one or two times to make sure they are evenly coated with the marinade. Cover the bowl and get it into the refrigerator to chill it out for at least an hour. Due to honey in the marinade, the chicken drum will get burn easily on the outside before it is cooked thoroughly. To prevent this make sure you’re cooking on medium heat and flipping them regularly. If you’re using an indoor grill you always have the option to finish them off in the oven for the last five or ten minutes of cooking. Once the internal temperature reaches 165 degrees Fahrenheit that is how you know they are ready to be devoured. Give these drumsticks another quick brush with that delicious honey mustard sauce and cook for maybe one to two more minutes more before it is time to enjoy. Aside from a great hamburger, a grilled chicken sandwich is one of my favorite recipes for outdoor grilling. To begin you start by placing two boneless skinless chicken breasts in a ziploc bag and pound out. The reason you need to pound out the chicken breasts is to even them out to ensure even cooking and it also cooks a little bit faster on the grill. After pounding out the chicken cut it in half so that you can make two to four sandwiches. Before you chop your fresh cilantro always soak in a bowl of cool water to remove the dirt. Now let’s combine the ingredients so you can start marinating your chicken. Take one cup of extra virgin olive oil in a bowl; add one by one ingredient that has been mentioned above in the ingredients list and whisk all together. This zesty Southwest style chicken marinade goes great with boneless grilled chicken breasts. Now let these flavors meld for about 15 minutes and then marinate your chicken for at least an hour in the refrigerator. After marinating for about an hour and since there’s no salt in the marinade you’re going to go ahead and put a little salt on them next before you put them on your gas grill. Put a little olive oil on the towel and I wipe down your grill this will helps from keeping things sticking. Make sure your grill is preheated on high. Lay those pounded breast down on the grill and sprinkle more salt to them. Grill them on each side for three minutes. Add the pepper jack cheese on the grilled chicken and grill the bun on the side. When the cheese is melted and buns toasted. Now let’s assemble the awesome chicken sandwich. For the spread use a Southwest sauce and place the chicken with cheese, fresh sliced tomatoes and fresh sliced avocado in the bun to make a sandwich. This recipe is hard to beat and taste really good. Let’s start by cutting a lemon in half and only use the half lemon juice to put on the chicken breasts. Next you’re going to add some garlic plus seasoning and garlic powder after that you’re going to add some onion powder, salt and pepper. Then you’re going to add a nice amount of smoked paprika. Adding smoked paprika will give a nice smoky flavor. Next use your favorite piri piri sauce, you can find this in most of the grocery stores. After all that’s added you’re going to massage your chicken, don’t be afraid to get your hands in there but you got a massage so that all the flavors coat the chicken thoroughly. Then you’re going to wrap the bowl with saran and you’re going to place that in the fridge for an hour. After an hour up you need to remove it from the fridge. Then you need to lightly oil the griddle or your gas grill if you are grilling outside. You’re going to preheat and place the chicken once it’s pretty heated. It is probably going to take about four or five minutes per side. Once one side is done you need to flip it to the other. 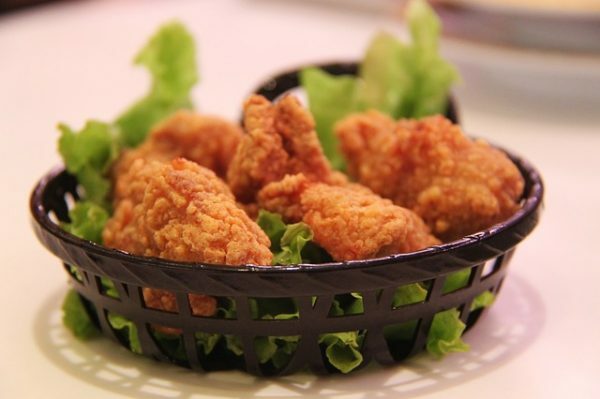 Use any generic salad to serve with chicken. This is very macro friendly, low calorie and low-fat peri peri grilled chicken. This makes recipe will give you 4 servings with 217 calories per serving. Mix 1 teaspoon sesame oil, soy sauce, scallions, garlic and ginger in a small bowl. Pour half of the sauce in a medium bowl then add chicken to the bowl. Form into 4 and 3/4-inch thick patties. Add remaining sesame oil and vinegar in the sauce mixture then set aside. Grill burger patties over medium-high heat until cooked through, about 4-5 minutes per side. To serve, mix watercress and carrots in a large bowl, toss with remaining sauce mixture then divide among 4 plates. Top with grilled burger. Enjoy these low-calorie grilled recipes today for a surely satisfied appetite, without having to worry about your weight or your health. During the holiday season, many different opportunities to spend time with family and friends occur. While festive interactions bring the majority of people great happiness, making the required preparations and the process of cleaning up afterward can seriously detract from that joy. Eating out at a restaurant or buffet can make things much easier. Not having to cook the meal or clean up after everyone means that enjoying a meal together becomes much easier for everyone. There are other benefits to this, of course, but there are also a few drawbacks that you might want to keep in mind. It’s true that everyone can choose their own meal, drink, and dessert, but splitting the bill can pose some complications. Does everyone contribute to a temporary fund and everyone pay out of that? What if the fund doesn’t cover everything ordered? Is everyone expected to contribute equally or only as much as he or she can afford? Should the wait staff get the rest as a tip? What if the rest is not sufficient for the tip? These are things that you need to think about and decide on before venturing out. Keeping in mind that nobody needs to commit hours to cook anything, realizing that favorite traditional foods might not be on the menu can quell disappointment. If a particular element is missing, how much will its absence detract from a person’s overall enjoyment and satisfaction? 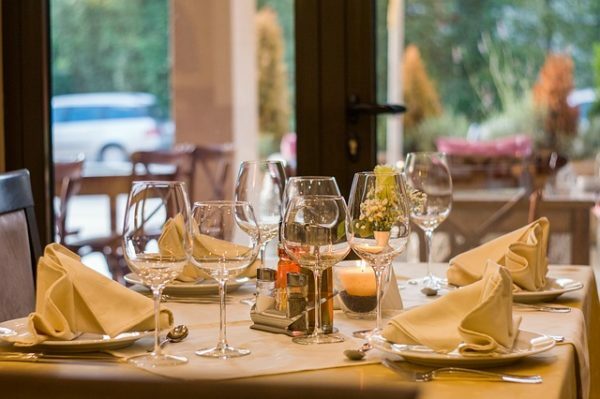 Those with food allergies already know how difficult eating out can become at times, so this aspect also needs some consideration. Children and their needs also need to come into play when making reservations. Nap times can clash with a restaurant’s atmosphere, and others might want to interact with younger children. Colds and flu can also create a situation many parents want to avoid. Older children can often feed themselves or even grab their own items at a buffet out of the hot food display, but younger children should have more supervision. Recruiting teens to help can eliminate accidents by helping parents of younger children by entertaining toddlers or loading plates with food. Each establishment is going to have its own particular set of additional benefits and drawbacks. Wherever you and your family decide to enjoy the holidays together, remember that it is the festivities that are important. Who paid the most or had the best-behaved child are unimportant and trivial. Coming together to spend time with each other is always more important. Cook bacon until it is crispy. Once done, place it on top of paper napkins to lessen the grease. Preheat the oven to 325 degrees Fahrenheit and arrange parchment paper on the cookie sheets. In a medium bowl, mix the melted butter and sugars until they are well blended. Beat in the vanilla, egg and egg yolk until the mixture is light and creamy. Mix in the sifted flour, baking soda and salt. Add in the chocolate chips and chopped bacon and stir. Use 1 tablespoon to put the cookie dough on the cookie sheets. Leave an allowance of 3 inches between cookies. Bake from 15 to 17 minutes and leave to cool on the baking sheets for a few minutes. Avocados are a tropical daydream with their smooth texture, rich taste and multitude of health benefits. In recent years, this fruit has become even more popular thanks to all the things you can do with it. You can enjoy it blended into a yummy smoothie or spread over golden slices of toast. 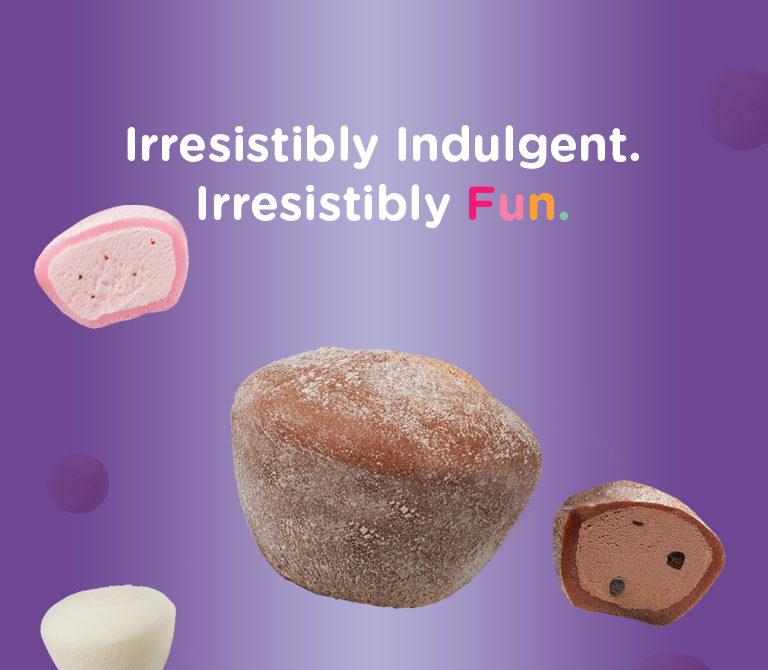 Why not enjoy it with your favorite chocolate chip cookie as well? Are you ready to let your tastebuds go on an exotic tropical adventure? Whisk the flour, baking soda and salt in a bowl. Stir the avocado, coconut oil, vanilla extract and maple syrup together. Mix in the wt ingredients into the flour, baking soda and salt mixture. Mold the batter into balls about 1” in diameter. Arrange the balls on the cookie sheet and flatten them with the palm of your hand. Bake from 11 to 13 minutes. Allow to cool away from the oven. Some people love snacks with a kick. If you’re one of those people, then how about you make your chocolate chip cookies worthy of rock-stardom by mixing it with whiskey? That’s right, don’t just serve whiskey on the rocks. Start serving it in the form of crumbly, melt-in-your-mouth chocolate chip cookies. Perfect this recipe and you might just have a crowd of foodie fans fawning after you. Process the 3/4 cup of dark chocolate wafers in a food processor until they are pea-sized. Whisk the all-purpose flour, rye flour, baking soda and salt in a bowl. Beat the butter, brown sugar and granulated sugar in an electric mixer at medium speed until light and fluffy. Add in the egg, vanilla and bourbon and beat until well blended. Set the mixer speed to low and then gradually add the dry ingredients until they blend. Fold in the chocolate and the last pieces of wafers. Divide the dough into 16 balls and then place on a rimmed sheet. Tightly wrap it with plastic wrap and chill for at least 3 hours or up to 24 hours. Place the rack in the middle of the oven and preheat to 350 degrees Fahrenheit. Mix the vanilla seeds with the sea salt into a bowl. Arrange the dough balls on the onto a baking sheet and flatten with the palm of hand until each ball is about 3/4” thick. Sprinkle the balls with vanilla salt. Bake the cookies and half way through, rotate the sheets. Bake until the edges become golden brown. Allow to cool on the cookie sheets before letting them completely. With marijuana legalization spreading like wildfire across the United States, it’s unsurprising that this plant has also become a star ingredient in many recipes. 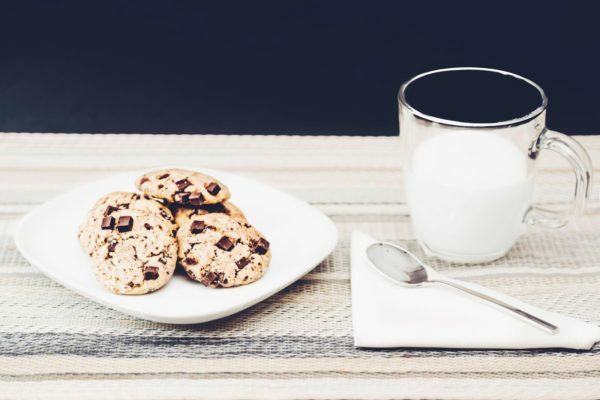 Take your baking skills to an unprecedented high (pun intended) by infusing your chocolate chip cookies with cannabis. Try this recipe out if you’re daring enough to experiment and reach food god level with your kitchen concoctions. Preheat oven to 325 degrees Fahrenheit. Grease your baking sheets. Combine the all-purpose flour, baking soda and salt into a medium bowl. In another bowl, mix the canna butter with the white and brown sugar until creamy. Add in the vanilla extract and egg once the mixture has set. Keep mixing until the mixture becomes light before putting in the chocolate chips. Slowly add in the flour mixture in the medium bowl. Keep mixing until the cookie dough looks firm. Scoop out the mixture using a spoon and form 1/4 cup cookies on the cookie sheet. Spread the dough equally. Put the sheet into the preheated oven and bake from 18 to 25 minutes. Once the cookies look golden brown, allow the cookies to cool away from the oven. Maintaining a healthy lifestyle takes dedication, but without it, it is too easy to fall into bad habits. Ensuring there is clean food to eat, making time to fit exercise into your hectic schedule and taking the appropriate supplements, means you are making your health a real priority. Your diet and lifestyle have a direct impact on the health of your heart. When you prepare your food, it’s recommended you eat something that is rich in nutrients and healthy fats. With oil, there is a difference in the type of fat that you can get. Before I recommend oils to use for your healthy cooking, let me explain the different types of fats that are found in oil. Oils are liquid fats that come from the seeds or nuts of plants. 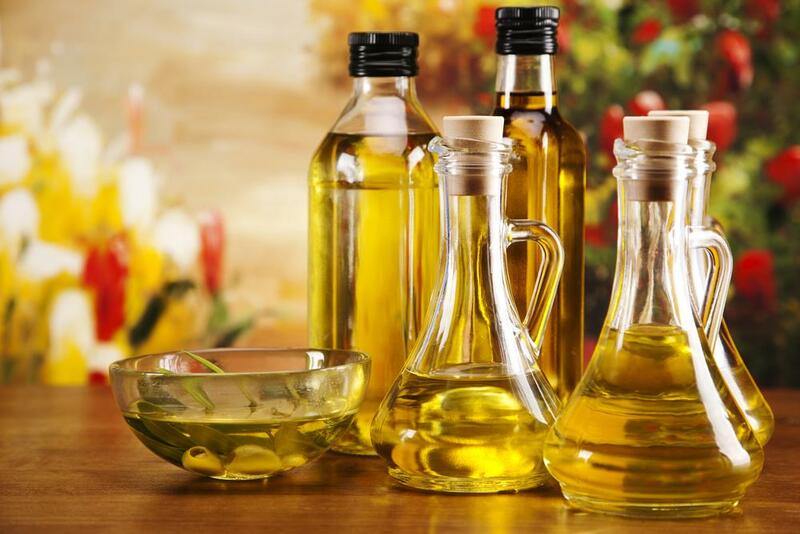 The ratio and type of fats contained in each oil usually differ. Saturated Fats: Also known as Solid Fat, it is usually solid around room temperature and found mostly in animal foods like meat, cheese and milk. This saturated fat is found less in poultry and fish, but more so in red meat. It is also found in tropical oils like cocoa butter, coconut oil and palm oil, which are used in things like coffee creamers and whipped toppings. Desserts, cookies and cakes are usually high in saturated fats and can raise your cholesterol level. Anyone embarking on a healthy diet should ensure that the saturated fat in their daily calorie intake should be less than 10%. Unsaturated Fats: Unlike saturated fats (which at room temperature are in liquid form), unsaturated fats are found in the oil derived from plants or their seeds. Consuming unsaturated fats instead of saturated fats can assist in improving your cholesterol levels. Two types of unsaturated fats are polyunsaturated and monounsaturated fats. Polyunsaturated Fat: Found mostly in vegetable oils like soybean, sunflower, safflower, corn oils and sesame. This is also the main type of fat found in seafood. When you consume polyunsaturated fat instead of saturated fat, you’re on the path to reducing your LDL cholesterol level. In polyunsaturated fats, you can find Omega-3 fatty acids (sardines, walnuts, salmons, shellfish, canola oil, mackerel) and Omega-6 fatty acids, found mostly in vegetable oils. Monounsaturated Fats: Found mostly in olive, peanut oil, nuts, avocado and vegetable oils. Foods high in monounsaturated oil can help reduce LDL cholesterol, but when you consume more unsaturated fat without reducing your intake of saturated fat, your cholesterol levels are unlikely to go down. Avocado Oil: One of the richest oils in monounsaturated fats and a great way to include vitamin E into your diet. Avocado Oil, unlike others oils that are extracted from the seed of a plant, is extracted from the flesh of ripe avocados and has the highest smoke point of any plant oil (520 degrees Fahrenheit). You can opt for this if you have a little extra cash to splurge, but try storing it properly, as it’s likely to go off fairly easily if it’s not taken care of. It is highly recommended, as it produces an antioxidant that improves eye health, helps your cholesterol levels and its buttery flavor can complement sauces and salad dressings. It is good enough to be used for any cooking need. Canola Oil: This great cooking oil isn’t as popular as the rest, but provides a lovely texture, an amazing neutral flavour and an impressive heat tolerance level. Budget-friendly when compared to other cooking oils, this oil is obtained by crushing the seeds of a type of rapeseed plant, (the canola), which comes from the same family as broccoli and cabbage. It also has the lowest content of saturated fat present in any oil and works well when used for baking, fries and sautéing, as it has a relatively medium smoking point. A well-embraced oil for making Indian and exceptionally-tasting Mexican dishes. Coconut Oil: Containing over 90% of saturated fats, which makes it resistant to heat, coconut oil has very powerful benefits and is a great choice for high heat cooking. It becomes solid at room temperature and can last for months (even years) without going bad. It is surprisingly rich in Luaric acid, which is a fatty acid that is known to improve cholesterol, as well as kill pathogens and bacteria. A great source of energy and taste, coconut oil is highly recommended for healthy cooking. Olive oil: Well-known for the effects it has on the heart, the monounsaturated fat it possesses makes it a great choice to fight breast cancer and heart disease. It lowers the cholesterol level in the body and is ideal for breakfast and a great improvement to the Mediterranean diet. It is fairly resistant to heat and is used widely around the world for cooking. The extra virgin olive oil is great for sautéing and light salad dressing, while the regular olive oil is widely used for frying. Palm Oil: Derived from the fruit of the oil palms, palm oil contains mostly monounsaturated and saturated fats, but with trace amounts of polyunsaturated fats, making it a recommended choice for cooking. The unrefined red palm oil is rich in Coenzyme Q10, Vitamin E, as well as other nutrients. In addition to their diet and lifestyle benefits, oils – especially coconut oil – have also been getting a lot of attention recently for their health benefits, including weight loss, skin regeneration and dental hygiene. “In the field of dental health for example, you can use coconut oil as part of your dental health to help attack harmful bacteria in the mouth that causes bad breath, fights gum disease, reduce plaque and prevent tooth decay and loss,” says Dr. Cecil Luong of Tigersmile Dentistry. On a final note, don’t forget to take care of your cooking oils and ensure they do not turn rancid. If you cook a lot and are sure you can use up a lot of oil in a short period of time, then buy in large batches. If not, consider buying small batches, so they don’t get the chance to go bad. 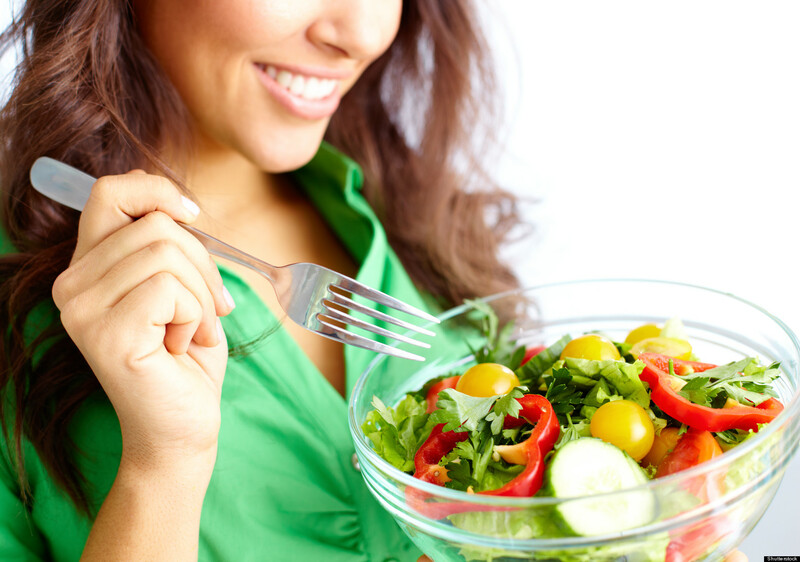 There are different reasons why you do not want to eat, ranging from stress to illness. The big problem in most situations is that you end up losing weight without you wanting this. The problem is that there are no foods that are actually going to make you want to eat a lot more. When struggling, what should be done is to change your entire diet, no matter what dining etiquette rules you want to respect. This is why you want to consider the following as your goal is to increase appetite. If appetite is small, you want to eat the foods that you enjoy and that pack in various different calories. Sweet treats and fast food will be what is often considered but a much better idea is to consume high-calorie foods that are healthy. That is going to prevent your weight loss as you get the nutrients the body requires. Some of the options that you can consider include avocados, sweet potatoes, dried fruit, bananas, vegetables, corn and peas. If you want extra protein, add cheese, eggs, nuts and hummus. In the grain group you want to consider the whole-grain breads, quinoa and grape nuts. Many people today are breakfast skippers because of the lack of time but this is a really bad idea. You want to be sure that you eat your breakfast and then you increase how many meals you eat throughout the day. Even if you initially eat the same amount spread over different meals, eventually you are going to eat more. Try to focus on a substantial breakfast that packs in calories and that you keep the meals small. Eating more often is going to improve intake as the appetite is waning. In many situations the calories are going to go down much easier if you choose them as beverages. Some of the great choices are whole milk and 100% fruit juice. Alternatively, you want to consider a high calorie smoothie with fruits. It is much healthier than what you often consider. Just take one smaller banana, mix it with 1 peanut butter tablespoon and some milk. The result is a smoothie of around 300 calories. 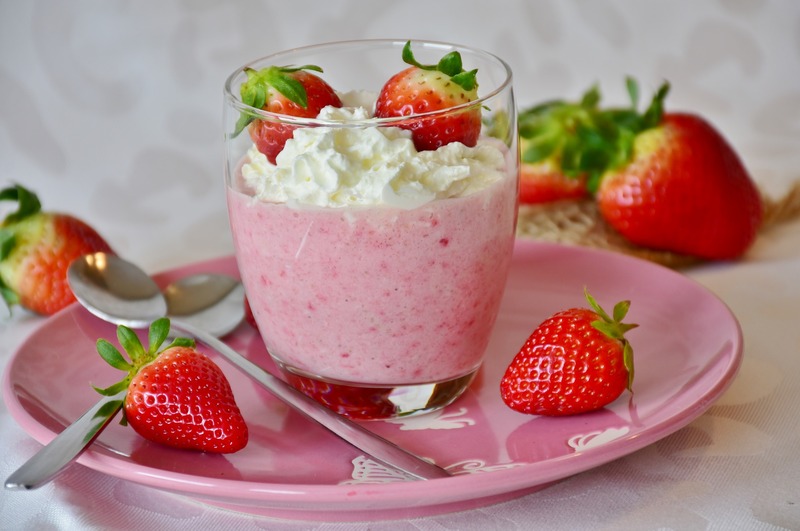 Other healthy fruit smoothie recipes can be found online. You can also consider buying some nutrition supplement drinks. Most of them have around 350 calories and can be a good source of healthy protein while including minerals and vitamins. If you do not have appetite, all calories are important. This is where the calorie boosters can step in to help you out by adding some concentrated calories to your nutrition. Many high-calorie mixes are possible, mainly included gravy, milk powder, nut butter, butter and oil. Veggies can be sauté in quality olive oil and the favorite grains can be tossed in. It is also a good idea to add some butter to bread, veggies and potatoes as a very strong and tasty calorie booster. Even dried nuts and fruits can be very good when added to yogurt and hot cereal. Nothing is more exciting than trying out new a health recipe every time you cook for your family and friends. There are numerous nutritious recipes to suit your style and for all seasons, occasions, and even health conditions. Whether you are trying to lose or maintain a healthy weight, you can add these amazing recipes to your diet plan. Check out these highly nutritious and delicious breakfast, lunch, and dinner recipes including top quality grocery items to use. Mix mince, spinach, tomato, herbs, onion, and basil in a bowl. Season with salt. Using a ¼ cup mixture per rissole, roll into about 12 rissoles. Place them on a large plate. Not everyone loves to go to coffee shops and spend time waiting for a cup of coffee. In fact, more and more people are taking their love for coffee home. Thanks to home espresso machines, handheld milk frothers and other coffee making tools available on the market, making delicious cups of coffee at home is easier than ever. These next few tips we are about to discuss in this article will help you make even better cups of coffee from the comfort of your kitchen. There is no need to settle for a less-than-stellar cup of coffee just because you are making one at home. You too can make a cup of coffee that’s as beautiful as it is tasty. Want to create those layered look the next time you make a cup of latte? This next tip will help you get started right away. Whether you’re adding frothed milk or cream milk to the coffee, place a spoon on top of the coffee and pour the milk onto the spoon. Be as gentle as you can be and you will start seeing the milk gathering in a separate layer. The spoon acts as a barrier and the milk will gently float on top of your coffee without hassle. Lift the spoon up as you fill the glass too. Once you’re done, you will end up with that beautiful, layered look that you normally get when buying coffee at coffee shops. You should never hesitate to experiment with flavours. Coffee has such a distinct natural flavour that it can work really well when combined with other flavours. Browse through catalogues of coffee flavouring syrups and pick up a few bottles you like the most. Vanilla and caramel are great flavours to begin with. These two flavours work great with hot and iced coffee. They can also be added to anything from an Americano to a cup of cappuccino. Hazelnut and almond offer a nuttier take to coffee flavours. They are also among the most popular flavours among DIY baristas, simply because they are easy to manage. There are also plenty of recipes to try with these two flavours. At a certain point, your existing coffee making tools will no longer be enough. Don’t worry, because top manufacturers and brands are making home versions of their professional coffee machines and brewing tools available at great prices. Home coffee making is turning into a hobby for a lot of people, which is why it is now easier to find the right tools for the job. Machines such as Nespresso and Dolce Gusto may work really well when you just want a quick cup of coffee, but more advanced options are available if you’re thinking about stepping up your coffee game. It is not difficult to make delicious, coffee shop-grade cups of coffee at home. These tips we just discussed in this article will help you go that much further. You’ll love the different coffee recipes you can try with these tips too.